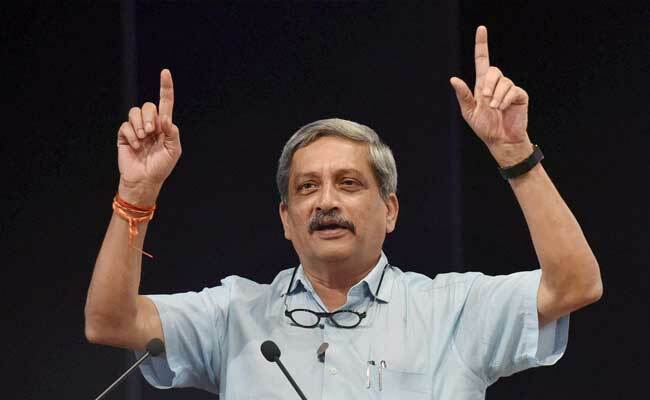 Manohar Parrikar was interacting with school students when one of them asked what kind of movies the former Defence Minister watched during his younger days. "We would not just watch movies, we have also watched adult movies of that era," Mr Parrikar replied. Panaji: Goa Chief Minister Manohar Parrikar on Tuesday shared at a Children's Day function in Panaji his experience of watching an "adult movie" in his youth. Mr Parrikar was interacting with school students when one of them asked what kind of movies the former Defence Minister watched during his younger days. "We would not just watch movies, we have also watched adult movies of that era," Mr Parrikar replied. "You are seeing more things on TV now than what was shown on adult movies back then." "There was a popular (adult) movie. I was an adult at that time. Me and my brother had gone to watch it. During interval, when the lights came on and I realised that my neighbour was sitting next to me. This neighbour used to chat with my mother every evening. I told myself, we are dead," said Mr Parrikar. The Chief Minister, who is known for peppering his speeches with anecdotes, said that both he and his brother Avdhoot ran away from the movie hall, leaving the movie mid-way. On the way home, he came up with a plan to "pre-emptively" handle the crisis. "When we reached home I told my mother, we had gone for a movie and we did not know that the movie was vulgar... We left it (movie) mid-way. And very casually I told her, that our neighbour was also there and kept quiet," he said. "The next day, the neighbour excitedly called my mother to tell her that Manohar and Avdhoot had gone for an (adult) movie. My mother asked him, I know which movie they went for, but why did you go for the movie? You have to pre-empt certain things," Mr Parrikar summed up.